Bruce Isaacs, who discovered Kentucky's 5,000th cave, explores another underground passage. The Kentucky Speleological Survey passed a major milestone last month when it discovered the 5,000th known cave in Kentucky. The Bluegrass State ranks fourth in the country in number of officially documented caves, and many more remain to be discovered. The Speleological Survey’s “Race to 5,000” started a year ago, encouraging cave enthusiasts to help bridge the existing knowledge gap by submitting new cave locations. Cave number 5,000 was discovered in Jackson County by Speleological Survey member Bruce Isaacs. About a quarter of the state is underlain by limestone favorable for cave formation, so the Speleological Survey expects the number of known caves to continue increasing well into the future. 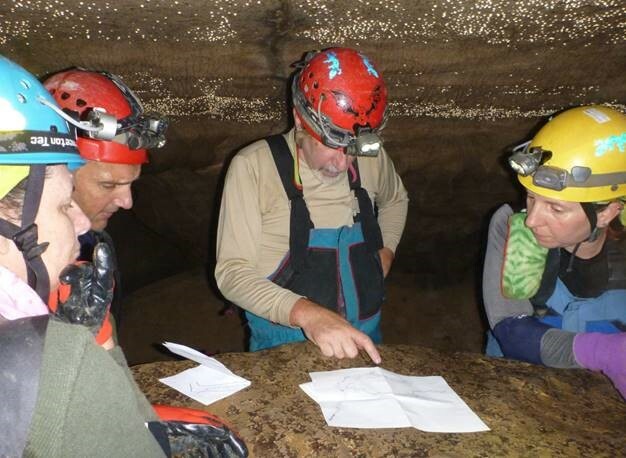 The Kentucky Speleological Survey is a volunteer-based, nonprofit organization dedicated to the study of cave and karst resources in Kentucky, and has long collaborated with the Kentucky Geological Survey. To further its goals, the Speleological Survey gathers and archives information about cave conservation, research, and exploration. This information is stored under lock and key in Kentucky Geological Survey offices on the University of Kentucky campus. The archives contain cave maps, survey notes, exploration photos, descriptions, GIS files, and many other forms of information. This information aids in the discovery, survey, and mapping of caves throughout the state. 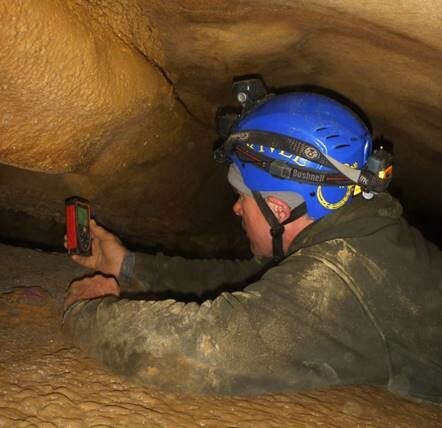 Kentucky Speleological Survey speleologists use newly available airborne LiDAR data in their search for new cave openings. LiDAR (which stands for light detection and ranging) uses airborne laser scanning to create ground maps in unprecedented detail, even in areas covered by dense forests. Geologists at the Kentucky Geological Survey are also using the LiDAR data to create more accurate maps of geologically young surficial deposits; use artificial intelligence algorithms to delineate sinkholes; and use computer programs that combine LiDAR digital elevation models, physics-based models of slope stability, and elements of probability theory to identify landslide-prone areas. 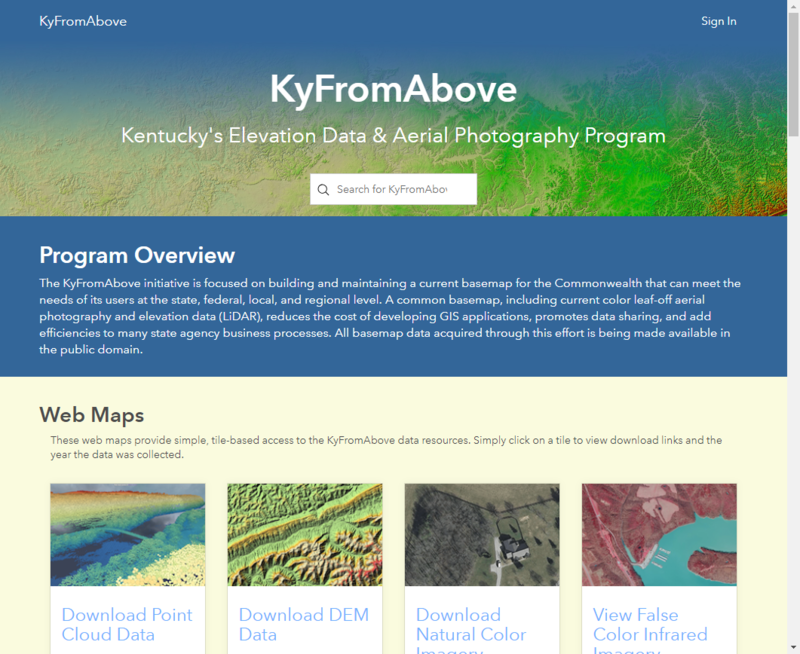 The Kentucky Speleological Survey works with individuals and other organizations to grow its database, as well as share information with responsible parties including cavers, landowners, and government and environmental agencies. For more information on caves and caving in Kentucky, visit the Kentucky Speleological Survey website. 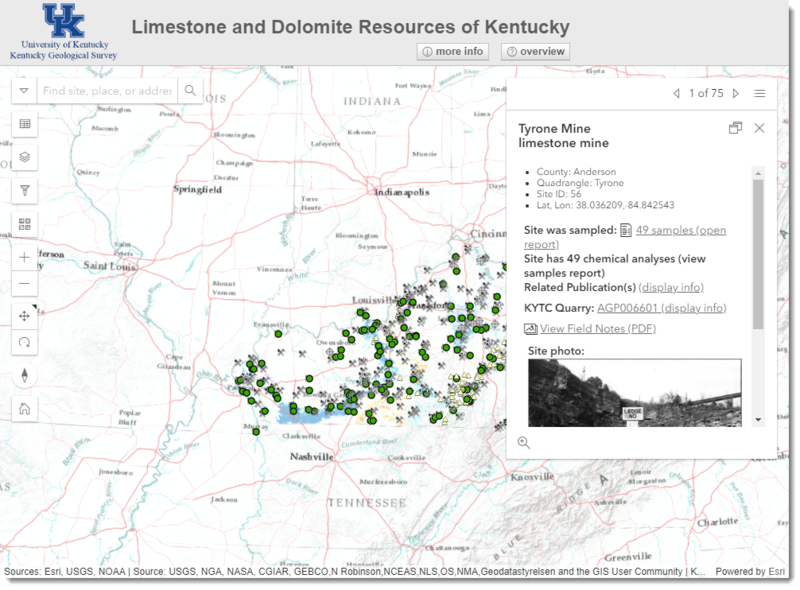 Find out more about the Kentucky Geological Survey, including its studies of karst and other geologic research, at the KGS website.